Do you want to know how to save money from up to 50 percent of your income by doing a simple task? I will be going to share with you the best money-saving tips where you can save and make extra money. There are many ways to save money that will not affect your budget. If you follow the money saving rules, then you can easily make a good bank balance and have an investment in assets. Here you will learn how you can save money, Pay off debts and recurring expenses. 2. How Much You Earn After Expenses? 18. Why You Should Not Save Money? Saving without a budget plan is very difficult to reach a savings goal. You must be having a weekly or monthly recurring expense such as electricity bills, house rent bill, gas bill, student loan, etc. Create a list of expenses see how much money you save when you minus it with your total income. If your expenses are greater than your income, then it’s a time to cut off your expenses aggressively. If your income is greater than your total expenses, then it’s time to think where to invest extra money so that you receive side income regularly. Make a goal of saving 20% from your income after all the expenses or cut 30% of your expenses. Personal Capital will assist you with saving and budgeting so that you can save or pay off your debts within the calculated time. If you already have debt, then make a list of all the debts. Calculate the amount you need to save to settle all your debts at a particular time. Sign up to Find Housing Support to learn about housing assistance available to your family! To start saving money, you first calculate your total income after settling up all your fixed/recurring expenses. Recurring Expenses? Why do you have recurring expenses? Just imagine, you earn $100 but your recurring expenses is $20. Now, your total income is $80 Not $100. You can only save money when you have control over your expenses. You can balance this formula and save money monthly by just applying some saving tips that you are going to learn. Auto Invest your monthly saving in growth companies and build wealth by doing diversified investment. Avoid EMI/Loan: People get attracted quicker when they see something on EMI’s. They buy it because EMI system gives partly payment option, but including interest. This makes us buy anything that attracts and push into the debt trap. People having extra earnings mostly get into this trap. They take the loan, but they don’t know that this will going to reduce their net income. Digit will help you with saving money, pay off debts, credit cards, Emergency fund, Down payment, Student loans and many more. Avoid Credit Card: We buy things on credit card in the assumption that we will pay back within 45 days. This leads to overspending. What if you fail to pay the money back to the bank? They will charge you a heavy interest. This is how your expenses increase in a different form. You will not think of saving money because credit card bill due date is closer. Do not use overdraft facilities: When you do not have money in your account, then the bank may offer you an overdraft facility. Why don’t you work some extra hours for some time and solve your financial issues? How can I auto save money? This must be your question when you reached this blog. Saving money is not a difficult task, but to fight with your unnecessary wants is a little difficult. If you stop buying the thing that does not required in your daily life then you can easily save 30% or more. And this can be invested for your future. You just need to create a list of upcoming expense and cross out the things that you can avoid or does not required. Most of the time we unknowingly buy something that we don’t even think of buying it. This mostly happened due to the way business promote their product/services. So, make sure to have full control on your monthly expenses. When you successfully start saving money, you tend to buy expensive things that is not necessary. You need to have control over your wants. This is the human nature that forces us to fulfill our wants no matter how much we struggled to save money. It’s better to invest those savings in the investing company like Acorns, so that we don’t think of spending it. Whenever you do shopping online or offline, do not forget to check the prices of the same product on the internet. This saving tip can save your money for sure. You can also go to Ebates and get up to 40% cash back. They say up to 40% but normally you will receive 10% of cash back. You may receive a 40% discount for selected items. There may be a reason for the one who wants to save money. People like us must be having a goal to save a certain amount of money within a specific period of time. If you did not set your saving goal, then I would recommend you to set your goal first with Digit and then start saving money. Decide how much you want to save? How much you can save? And When you want to reach your saving goal? You can take help from financial company to get this calculation done. They will also give you the recommendation to make investments in the right asset to reach your saving goal. See what WikiHow says about save money. Paying in cash is becoming an old fashion of doing payment transaction, but do you know that you tend to spend more when you use a debit or credit card. This is because you don’t do much calculation on your spendings when you use cards. On the other hand, when you use cash, you are completely aware of how much money is available in your wallet and you cannot spend extra as you have limited money. Using hand cash, you will be aware of how much you are spending on, what should you buy in the limited money. You automatically avoid spending on unnecessary items and this leads to saving more money. Invest whatever you save daily or monthly to protect yourself from unexpected situations. There are many ways to invest savings. Dividend Stock: You can invest in stocks regularly with the small amount and have diversified earnings. Set Auto-Saving: This is one of the best way to save money from your earnings. You can sign up with Digit and start auto saving daily. Do you know that you can easily pay off your debt without any hassle? You are not the only one who wants to settle their debts. Most of the people take loans but don’t know how they going to repay it. There are companies in the market who assist people in paying off debts. They see your goals and guide you on how you can save money to pay off your credit card bill, loans, EMI, etc. It’s important to reach a situation where you do not have any debts before starting saving money. We take irrational decisions when we only think to fulfill our wants. We get so much attached to the promotion that we start dreaming to buy things even though it does not require in our daily life. This is where people do make use of credit facilities and buy things on loan. They want to show others that they are living an upgraded lifestyle. You should stop spending on such an item and think rationally. If it is needed as per the situation, then buy it or else try to find alternatives. You may have taken paid subscription that you are no longer using it. Stop such unwanted subscription and save more money. You may be subscribed to service that you do not remember, but you still paying for it. Trim will help you to stop auto money deduction from subscriptions that you are no longer using it. You will also get the list of your subscription from Trim. So, take help from Trim and start unsubscribing. Shopping is part of our monthly activities. Do you know there are few companies who provide great cash rewards while you do shopping? Ebates is the company who provides cash back up to 40% when you do shopping. It’s real cash back that they provide directly to your bank account. You can save a few bucks in each shopping you do. A small amount adds up to one place that becomes a bigger amount at one stage. This is one of the best money saving tip who do shopping every month. Related: Ebates Review – Earn Cash Back and Referral Money. You can start saving money from now. 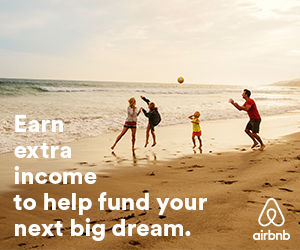 Just register with Airbnb and rent your extra room space to earn extra legit money. Airbnb is a very popular platform that helps people who want to rent out their room and earn/save good money regularly. Once you registered with Airbnb, then will be required to mention the dates on which your rooms are available for rent. In our day to day life, we sometimes get into expenses that require skills. But you can also do it yourself just by learning from the internet. There are a lot of resources available on the internet that will teach you how to perform a task by yourself. You can repair your house, phone, car, bike etc. You can even learn how to create a website without taking any classes. This is how you can save money every month. You can even get amount refunded when you by mistakenly pay extra. Where to keep your saved money? 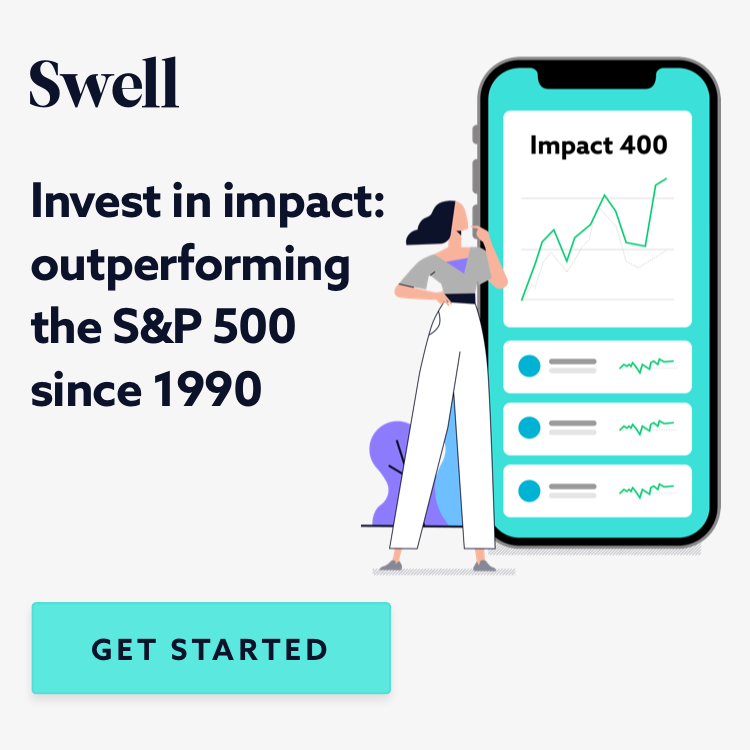 It’s better if you invest those money into growth companies that can give you better results. You need to apply different ways to save money if you want to reach your saving goal. Whatever you save daily or monthly, it needs to be invested in different ways, so that you will start receiving passive income from savings. 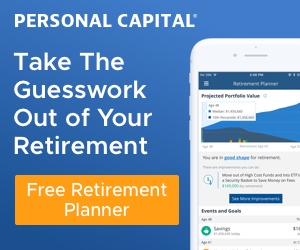 You can save money just by setting up your monthly saving goal with Personal Capital. For example, let’s say your monthly saving goal is $100. In this situation, you will need to cut down your expenses up to $100 to reach below calculation. Tip: Make a list of all your expenses and see where you have spent unnecessarily. Expensive Lifestyle: You may find problems in saving money if you carry an expensive lifestyle. I am not denying wearing good clothes, shoes, watches etc, but it’s better if you spend on good quality items who is only known for its quality in less price in the market rather than spending on highly expensive items just because they give you luxury lifestyle. Don’t Know Where to Invest Savings: Some people who is good in saving money but fails to make better use out of it. This is because they do not know where to keep their saved money. Not Checking Credit Card Bills: If you never check your credit card bills, then you will never come to know how much you will be going to pay for your credit card bills from your next salary/income. Don’t Have Control Over Expenses: It’s a good idea to live a better life, but sometimes we cross our limit and overspend our money where it’s not required. Going For a Holiday Without Any Financial Planning: Holiday trip sometime become very expensive especially when we go with our family. A holiday trip can put your savings into danger if you don’t do proper budget planning. You must set a budget for a holiday. How much you have, and what should be left after the trip cost. You must have a clear picture of this. Don’t Use Alternative: Saving money requires an effort of thinking in a different way. There are many things that cost you, but if you want to make that cost zero, then you need to find alternatives. We usually don’t think of alternatives and start spending money because we do not want to make an effort of doing things by yourself. Join Digit to know how you can save $5000. Sometimes it’s not the right time to save money. This may be due to many reasons such as high debt, credit card bills, Home repair, Education fees, etc. You will need to pay these debt/expenses first, and then start saving money. You can also apply the 80/20 plan where you use 80% of saving to pay off your debts/expenses and keep 20% for saving. Saving money is easy, but we make it difficult because we want to look rich. Spending for looking rich will not make you rich, but poor. You should save at least 20% of your income and this should go for investment to create side income.